The MXC-688SLX from Porta Brace is a protective carrying case, custom-fit for the Sound Devices 688 mixer, and either the CL-6 input controller or SL-6 wireless power system. This bag combines both the recorder and receiver compartments to form one ridged structural design, and provides a much stronger frame and greater support. The bag has two large pockets on either side, perfect for an NP1 type battery or left and right transmitter sends. Located within these pockets there are also additional transmitter attachment points. The MXC-688SLX has a movable hook-and-loop fastener strap/shelf that can be positioned to utilize the space under the CL-6 or SL-6. Extra storage space has been created within the double-layered vinyl window, allowing the user to store some small convenient items or frequency chart information. 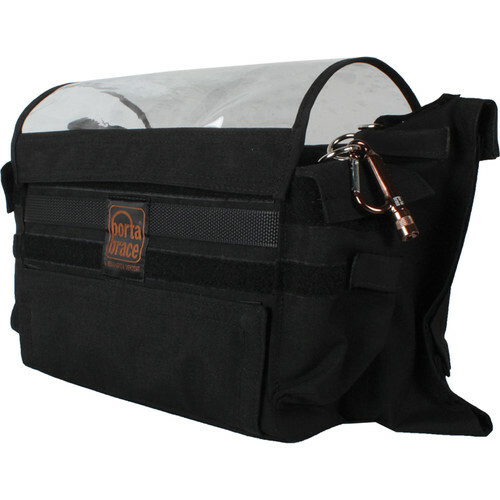 The carrying case is designed to allow the user to compress the outer section of the bag and create a smaller and more compact case. 7 x DIV-5X3 Rigid Divider 5 x 3"
Box Dimensions (LxWxH) 14.803 x 9.134 x 6.299"